The Internet has made finding just about anything you can imagine easier than ever. Whether it’s an old movie, vintage piece of clothing or obscure collectible, tracking something down is now just a matter of minutes spent across maybe two or three websites. One area that the Internet has helped even more is in car parts and repair. Finding replacement parts for a particular model vehicle used to be an arduous process and meant time spent at the dealer as they tried to track it down for you. Not only are rarer and harder to find parts more readily available to you, but more common parts can be found at the best possible price. It’s advised that you change your car battery every 3-4 years or so to avoid your battery dying or becoming corroded and causing any damages under the hood. 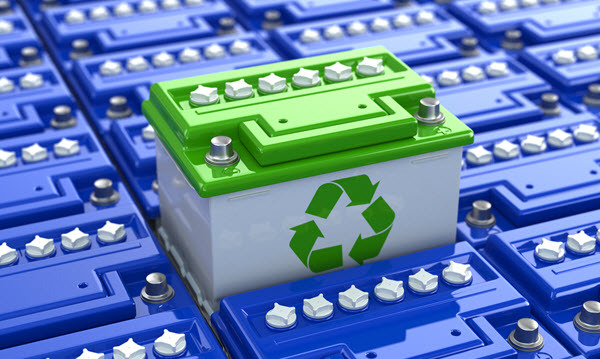 Usually, you can just take your vehicle in for a replacement battery and for proper recycling and disposal of the old one but with high labor costs and the convenience factor of the Internet, finding a battery online at a cheaper price is an option that more and more drivers are taking advantage of. When purchasing anything off of the Internet though it’s important that you use caution and be sure to only visit trusted and secure websites to avoid any identity theft or rip-offs of being charged and never getting the battery you order. There are steps to consider when buying a replacement car battery and when doing so online, it’s even more important to be prepared. 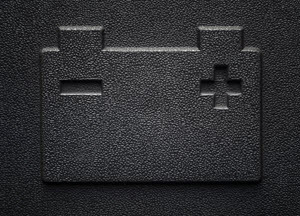 Know Your Battery Type– The car owner’s manual with your vehicle should specify the exact type of battery that you’ll need. Make Sure It’s the Right Size– The size of a battery refers to the outside dimensions of the battery and the placement of the terminals. If you end up getting a battery that is too small, it won’t fit securely which can harm performance and damage the surrounding areas if it moves around too much. Consider Your Surroundings– It’s important that you consider your driving needs and the weather and climate that you live in as well. High temperatures are extremely rough on car batteries and will decrease their lifespan, as the electrolyte solution found in a car battery will evaporate much faster in hotter conditions. Consider Your Driving Style– A battery with a longer life span is important if your daily driving consists of mostly short stop-and-start trips. The shorter your drive is, the less time your battery gets to recharge while you go. If this sounds like your biggest driving needs, then a battery with a long life can better withstand the shorter trips and will ultimately last longer and give you better value. Know the Difference Between Low Maintenance and Maintenance Free– If you live in an area with hot summers and high temperatures, a low maintenance battery may be a better fit for you. They’re unsealed and have caps that screw off and allow you to add distilled water to them to help cool them down. Maintenance free batteries are completely sealed and require no addition work or attention paid to them, but may run the risk of overheating. While these are all important things to consider, buying a battery online eliminates some of the opportunity to ask questions and means that you need to dig a little deeper for answers as opposed to just being able to ask a salesperson in the store. Look for information about the reserve capacity of each battery you compare. This measures how long the battery can run using only its’ own power in case your car’s alternator fails. “Cold Cranking Amps” refers to a battery’s ability to start the car in temperatures of 0 degrees Fahrenheit. A battery cost increases as the CCA increases as well because the CCA is relative to how much lead a battery has inside it. Ordering online makes it harder to check the battery’s freshness date. Typically you want to avoid batteries that have been stocked on shelves for more than six months. This is one of the real hazards of buying online is your inability to see manufacture dates, which are usually engraved in the battery or can also be a sticker on the battery. Buying things online has upped the convenience factor of being a consumer while also helping to save shoppers money. While buying a car battery online is a great way to save some money, it’s important that you know exactly the type and size of battery that your vehicle needs before buying.